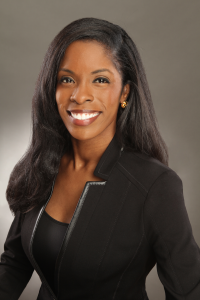 Assistant professor Deondra Rose researches the intersection between political history and policymaking. Photo from Duke Sanford School of Public Policy. The intent of the National Defense of Education Act in 1958 was not to expand the rights for women in higher education. But it happened. 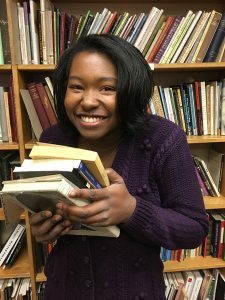 That’s something Duke Sanford assistant professor Deondra Rose called “accidental egalitarianism” in her talk at The Regulator Bookshop in Durham on Jan. 29. Rose discussed citizenship from the lens of historical policy research. During the 1950s, the Soviet Union and the United States were in fierce competition to be the first country in space. This was the push the US government needed to start putting more funding towards higher education for a greater subset of the population. The 1944 GI Bill was the beginning of government-funded need-based financial aid for higher education, but until this point, aid had only been given to white men. In Congress at this time, southern Democrats did not want to pass any legislation that would affect segregation, but at the same time, policymakers also needed to produce a policy that would be approved by northerners, who would not pass any policy that appeared discriminatory. They made the wording of the National Defense of Education Act intentionally vague to please both sides, and as a result it greatly expanded provisions for scholarships and loans to all kinds of students in higher education. Much of professor Rose’s talk, entitled “Citizens by Degree” after her book, was centered around breaking down the idea of citizenship into different degrees of afforded opportunities. “First class citizens” — usually white Americans — are generally afforded all of the rights that come with being an American citizen without opposition, she said. Second class citizens, usually minorities and women, can miss out on opportunities for advancement afforded to others because of their minority status. Rose also discussed how we can re-define the implications of certain terms such as “welfare state” to be used positively. Government assistance is not simply temporary assistance to new families, families with children or food stamps, but also includes Pell Grants and need-based financial aid. Similarly, “regulation” sometimes carries negative connotations, but Title IX can be thought of “regulation” that ensures women equal access in higher education. 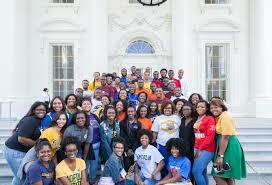 Photo from Annual White House Summit on Historically Black Colleges and Universities (whitehouse.gov). Rose’s latest research focuses on the relationship between policy, citizenship and education, and her next book is about historically black colleges and universities (HBCUs). In her political history research, she found that Title III is all about HBCUs, and the wording of the act suggests we as a nation ought to support and prize these institutions. Rose wants to learn more about the role the US government has played in empowering HBCUs, and the role of HBCUs in restructuring political power — for example, 60 percent of black judges in the US have at least one degree from an HBCU. At one point in history, the obstacle to higher education for second class citizens was access, then affordability, but have those two obstacles been completely overcome? What are new obstacles to higher education? Rose believes that policies have the power to reshape politics by reshaping citizens, and we must keep finding and tackling obstacles to higher education.